Here it comes! The summer hit feat. Costa Rican singer Ghettox. "Loco" is a club banger that uses elements of electronic dance music, complemented with latin influences. Available on iTunes July 3rd. Denmark Cayasso aka Ghettox is a Costa Rican singer, originally from Limon, the heart of Costa Rica’s Caribbean. Ghettox got famous during the 2000s as part of the famous duo "Banton y Ghetto" with hits like "Tu Barca" o "Manzana Prohibida" that got a huge response from Costa Rican and Panamean Crowds. At present he's been working on a few songs with French producers Flow and Kyderone from Infinite Recordz. Ghettox has demonstrated versatility and passion for working with genders like Dancehall, Reggae, and Electronic Dance Music. The song "Loco" is considered to be a massive club banger, with the most potential for global reach. Llegó el nuevo sencillo del cantante costarricense Ghettox! La canción "Loco" es destinada a las discotecas, y emplea elementos electrónicos de dance music, complementados por influencias latinas. Disponible en iTunes a partir del 3 de Julio. Denmark Cayasso aka Ghettox es una artista costarricense, originario de Limón: el corazón del Caribe costarricense. Se hizo famoso durante los 2000 como parte del dúo "Banton y Ghetto" con hits como "Tu Barca" o "Manzana Prohibida" que sonaron intensamente en Costa Rica y en Panamá. Actualmente se encuentra trabajando en un par de canciones con los productores franceses Flow y Kyderone del sello Infinite Recordz. 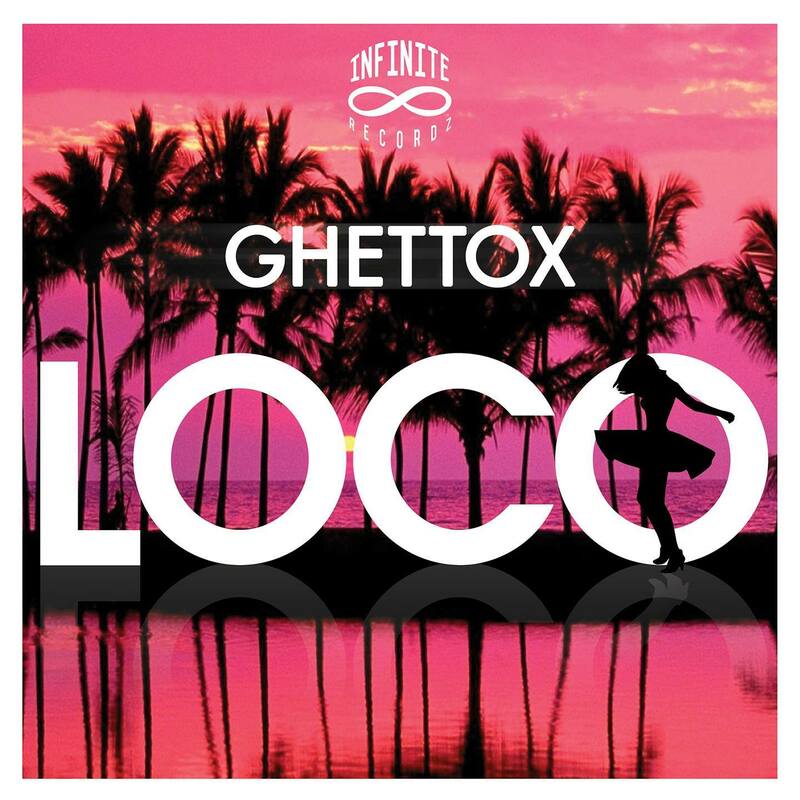 Ghettox ha demostrado versatilidad y pasión por el trabajo con géneros como el Dancehall, Reggae, y la música electrónica; La canción "Loco" es considerada como el próximo hit del verano con un gran potencial de proyección global. Here it comes! The brand new single feat. Costa Rican singer Stephie Davis. "Cosmic Journey" is a futuristic reggae track that uses elements of electronic dance music, complemented with ethnic nuances. The song defines the flavor of Stephie's upcoming album that will be released by Infinite Recordz. Available on iTunes June 16th. Stephannie Davis White aka Stephie Davis is a Costa Rican singer, originally from Limon, the heart of Costa Rica’s Caribbean. At present she is working with French producers Flow and Kyderone from Infinite Recordz. Primarily influenced by gospel music, Stephie Davis has demonstrated versatility and passion for working with genders like Hip Hop, RnB, Reggae and Electronic Dance Music. Stephie is considered to be the next big breakout star of the local music scene, with the most potential for global reach. Llegó el nuevo sencillo de la cantante costarricense Stephie Davis! La canción "Cosmic Journey" es un reggae futurista que emplea elementos electrónicos de dance music, complementados por matices étnicos. El sencillo define el sabor del próximo álbum de la artista, a ser lanzado por Infinite Recordz. Disponible en iTunes a partir del 16 de Junio. Stephannie Davis White aka Stephie Davis es una artista costarricense, originaria de Limón: el corazón del Caribe costarricense. Actualmente se encuentra trabajando con los productores franceses Flow y Kyderone del sello Infinite Recordz. Fundamentalmente influenciada por la música góspel, Stephie Davis ha demostrado versatilidad y pasión por el trabajo con géneros como el Hip Hop, RnB, Reggae y la música electrónica; Stephie es considerada como la próxima estrella de la escena musical con un gran potencial de proyección global. Brand New Release feat. Shel Dixon (Costa Rica) and Calero (Panama), named "Segunda Base". It includes the original Reggaeton Mix, and a Jersey Club inspired Remix by Flow. Available on iTunes March 23rd. Brand New Release feat. Mr. Lexx, named "So Fresh". It includes the original Dancehall Mix, and a Tropical Banger Remix by Flow. Available on iTunes March 16th.